Mondo Roots Cultural Arts and Music Festival is a celebration of diversity, art and music. It is a free to all ages event taking place in Downtown Clayton, NC on Saturday, June 4th starting at 1:00PM. Performances include The Lee Boys, Sol Driven Train, Black Masala, The Amateurs and many more. 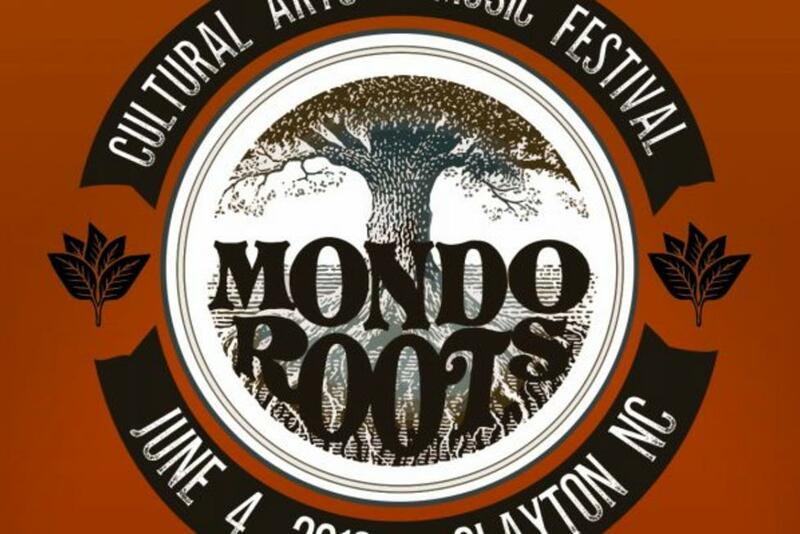 According to Dave Brown, owner of EarthPlow Productions and event organizer, "Mondo Roots Cultural Arts Festival is the first festival of its kind on the eastern side of the state! It is going to feature live music that is as inspirational as it is eclectic. Our musical genres are going to span from Soul and R&B, to Reggae and Rap, to Blues and everything in between." Brown has been steadily adding to the line-up and he&apos;s excited about the well-rounded mix of sound, "We have a true vinyl Dj that will be spinning old reggae with a new twist between sets. 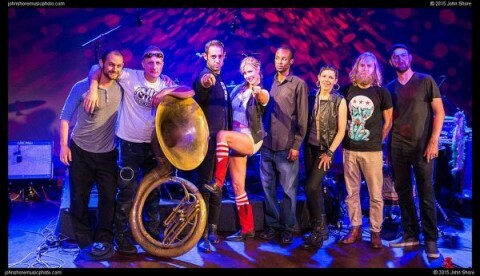 Black Masala (pictured below) is rooted in the second line tradition of New Orleans, this band is going to make you feel like you are standing on Bourbon Street. To round out the lineup we are going to have two of the most popular reggae bands in Raleigh, the Amateurs and Jamrock Reggae." Brown is partnering with Clayton Visual Arts to create a festival that is inclusive of all cultures and walks of life. They felt it was time for something like that in Clayton, an event that can celebrate diversity and empower the community. For those visitors and locals who have attended Millstock Arts & Music Festival in the past, Brown says the only thing this event shares with that is the date, "When Millstock closed the curtain it opened an opportunity to create something special from scratch. We are very happy with our partnership with Clayton Visual Arts to create something this special and unique. Visitors would be hard pressed to find a lineup of music this strong that you can enjoy for free. The bands that will be performing have a long track record of packing venues up and down the eastern seaboard. This festival is not a Clayton festival, this festival is for the whole eastern part of the state, it just happens to be set in the heart of the great town of Clayton." According to Brown the whole point of Mondo Roots is celebrating diversity and empowering the community. It&apos;s powerful and simple, "Our vision on a more personal level is to grow this festival to expand the minds and hearts of everyone that is involved. If you attend, you are part of this family and part of this movement. We are going to see a lot of different cultures and some of the greatest artists that this state has to offer." 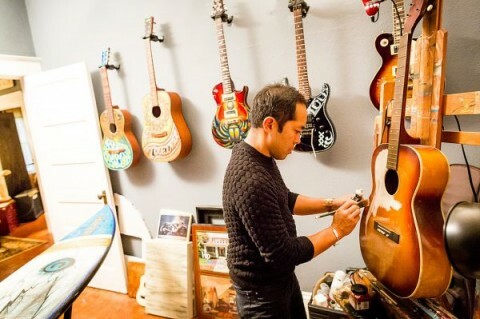 In addition to all the music there will be LIVE performing artists (like local Clark Hipolito, pictured above) painting murals, sculpting, and even doing chainsaw art. The festival has over 70 tents spoken for by artists, vendors, and sponsors. There will also be multiple food trucks set-up, as well as a beer tent, so bring your appetite! If you&apos;re a lover of diverse music and art, be sure to travel to Clayton in a few weeks to experience this festival for yourself. There&apos;s plenty to do in Johnston County so make a weekend getaway out of it. You can also find more information about the Clayton area at the Visit Clayton website. Mondo Roots starts at 1:00PM on the 4th of June, rain or shine. For more information visit www.MondoRoots.com.